As the skin ages, collagen and elastin fibers begin to break down causing tissue to thin, sag, and wrinkle. Sagging skin and wrinkles are unwanted signs of aging that can now be successfully treated using Botox, dermal fillers, laser treatments and other facial enhancements that will leave your skin looking more natural healthy and younger. A BOTOX® injection is a quick nonsurgical procedure that smoothes the lines between brows, on the forehead, and around the eyes that develop over time as you frown or smile. A few injections will relax the lines for three to four months, with results seen in 1-2 weeks. Botox is a natural, purified protein, and very low doses are injected into the muscles that cause lines to form. Unlike the fillers, which add volume in order to smooth wrinkles, BOTOX® injections relax the muscles that cause wrinkles. During this 10 minute procedure, BOTOX® is injected under the skin using a fine needle. Discomfort is minimal, and patients most likely will not develop significant side effects, although slight temporary bruising may occur at the injection site. Botox injections typically involve little or no downtime, and patients are able to immediately resume their normal activities. Dermal fillers are materials that are frequently used to correct skin wrinkles. There are currently several types of dermal fillers in the market, with the most popular ones being the non-permanent fillers, such as the hyaluronic acid based fillers (Juvéderm and Restylane), calcium hydroxylapatite based filler (Radiesse), and collagen based fillers. The permanent dermal fillers are currently not widely used in the USA. 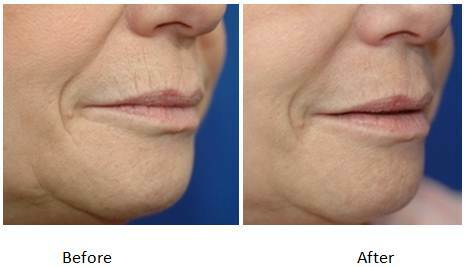 The dermal fillers provide a long-lasting natural enhancement look by adding immediate volume and stimulating new collagen growth. 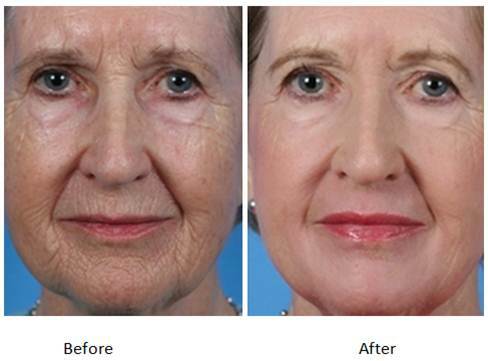 These fillers can help you quickly achieve a more youthful appearance. Many patients have used the dermal fillers to enhance areas of the face such as the cheeks and chin, correct smile lines and wrinkles, and rejuvenate the hands. During the 30 minute procedure, the dermal filler is injected under the skin using a fine needle. Results are immediate and continue to become more noticeable with time. Results can last up to one year or more. Mild swelling and itching may occur after the procedure, but these effects will wear off within a day or two. Platelet Rich Plasma (PRP) filler is all-natural filler with anti-aging and anti-wrinkle effects. PRP is all natural because is produced from your own blood. After the medical professional draws a sample of blood, it is placed into a centrifuge and spun rapidly in order to separate the platelets from the other blood components. Once isolated, the platelets are activated to produce platelet-rich plasma, which contains at least eight growth factors which are crucial for revitalizing the skin. The final step involves injecting the PRP into the face; which creates a more youthful appearance by adding volume and improving texture and skin tone. The overall PRP procedure is less than 30 minutes. Fat is the natural filler for facial rejuvenation and wrinkle reduction. It is preferred over dermal fillers, because it last a lot longer and patients never have an allergic reaction or rejection since the fat used is taken from their own bodies. The facial aging and wrinkle formation process focuses primary on how the face deflates and loses volume over time; so this process of fat grafting describes the procedure of transferring fat from the body to the facial areas that have lost fat through aging. Laser technology has been more and more prevalent in cosmetic skin care over the recent years. Lasers can be used in improving skin texture, diminishing fine line, and wrinkles, while generally giving skin a younger and fresher look. The effectiveness of a cosmetic laser depends on the wavelength of the laser and its energy for the targeted tissue. The beam of light, with specified wavelength, targets the exact type of body tissue treated. For example, the laser stimulates the growth of collagen and removes the damaged cells to reduce the wrinkles.